The group manufactures deep drawn metal presswork and distributes material handling components and monitoring equipment. 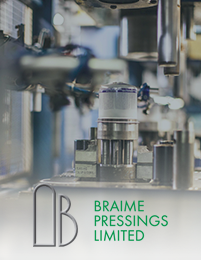 Manufacturing activity is through Braime Pressings Limited and the distribution activity is through the 4B division. Braime Pressings specialises in metal presswork, including deep drawing, multi-stage progression and transfer presswork. The company has over 125 years of manufacturing experience and a proven record of world class supply to the automotive industry and a range of other markets. The company offers innovative solutions to customer requirements and exceed expectations on cost, quality and delivery. Most recently, the group opened a new operation, 4B Braime (Changzhou) Industrial Control Equipment Co Limited, operating from Chanzhou, China. 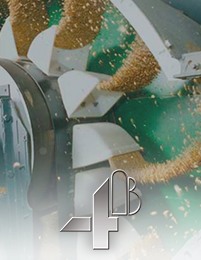 The 4B division is an industry leader in developing high quality, innovative and dependable material handling components for the agricultural and industrial sector, from elevator buckets to forged conveyor chain and level monitors to hazard monitors. 4B works in close partnership with its customers on new designs and on the upgrade of existing elevators and conveyors machines.